Grate jaggery.Should be uniformly grated smooth. Heat 2 tbsp ghee in a kadai and add wheat flour and roast it.When the colour starts changing,pour the remaining ghee and roast well till badami colour.Aromatic throughout the house. Add jaggery and switch off the gas immediately. On that heat itself,stir well so that jaggery mixes with ghee and wheat. Grease ghee in a plate and pour that gurpapdi in it.Spread evenly with the rolling pin. Cut it into desired shapes and on the top drizzle grated almond.This is optional. 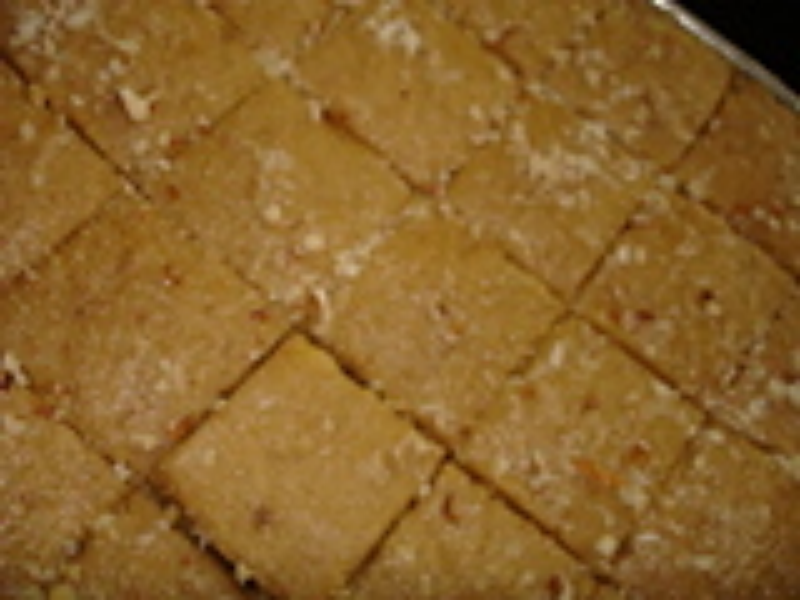 Tasty Gur papdi is ready.